Blogger Caro raves about her new comfiest sweatshirt everÂ� - her AXO letters customized with love and care by Greek Life Threads. 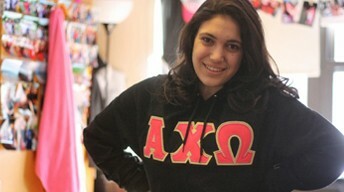 Her AXO letters are a hit with her followers as they vie to win her sweatshirt giveaway! 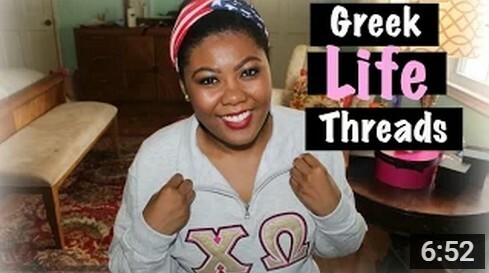 Devoted customer, YouTuber, and blogger pandamoniumpink gives her take on why she orders her Greek apparel through Greek Life Threads in her video series on sorority life. 2224 Cerritos Ave, Signal Hill CA. (c) 2015, GreekLife threads, All Rights Reserved.